Last week, my husband went online to purchase a recreational fishing license. He had the option to buy a lifetime license, which he thought would be the most economical. When reading the fine print he discovered that the lifetime fishing license was only good through the age of 64. Looking perplexed, I asked him what was wrong. “Maybe they never saw the movie, On Golden Pond,” I suggested with a smile. We shared a laugh, and he clicked enough buttons to buy his “only to the age of 64” fishing license. Aging is a taxing phenomena. If we don’t have the right perspective, it makes us feel older than we really are. We’re taught that youth is beauty, fun, and strength and that aging equals weakness, boredom, and wrinkles. Most people dislike aging because they feel washed up. They worry that all the good stuff already happened. They accept their plot in life and feel locked in to their choices. You can catch them reminiscing about the “good old days” when they were younger, skinnier, and prettier. They were very much this and of course, all that. But now, they feel like nothing. This is when getting old becomes a self-fulfilling prophecy. Would God have given you all those amazing experiences just so you could look back on them and reminisce? No! God doesn’t want you to long for what you once had. He wants you to keep having and if you do it right, getting older is how you have it all. 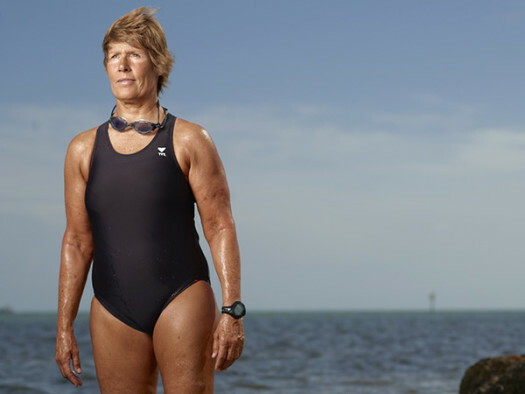 At 64 years old, Diana Nyad became the first person to swim from Cuba to Key West without a shark cage. As if this weren’t amazing enough, her triumph is all the more resounding when you hear that this was her fifth attempt, and the fourth one after turning 60. Her motto is “find a way.” And that, she did. With books like The Secret Life of Bees and The Mermaid Chair, 65 year old Sue Monk Kidd is a New York Times best selling author. But she wasn’t always so successful. She spent her early career as a respected nurse, yet she felt misplaced. As a young wife and mother in her early thirties, Kidd announced to her family that she was going to be a writer. It wasn’t until her early fifties that she found her stride with The Secret Life of Bees. 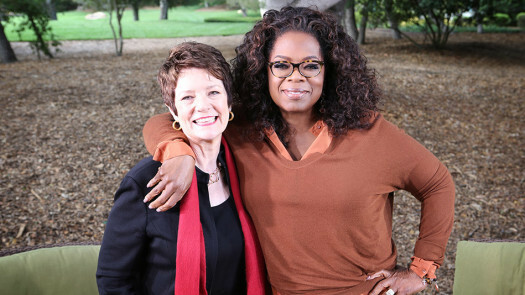 During a recent interview with Oprah Winfrey, Kidd warmly reflected on her decades long journey to find herself and understands that coming into your own is a never ending adventure. Morgan Freeman didn’t catch his big break until the age of 52 with the movie, Driving Miss Daisy. And at 77 years old, he’s still in demand and drawing big box office dollars. Joy Johnson started running marathons when she was well into her sixties. Thereafter, she ran an average of three marathons a years, always with a bow in her hair. 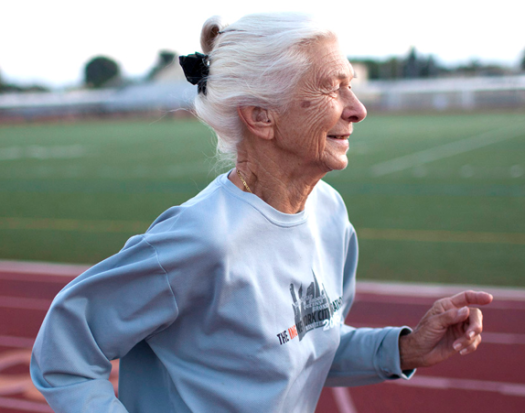 On her eightieth birthday, she realized that it was taking her longer to complete her marathons so she stepped up her efforts to improve her time. After inspiring countless people with her tenacity, Joy Johnson died in 2013 at the 86. 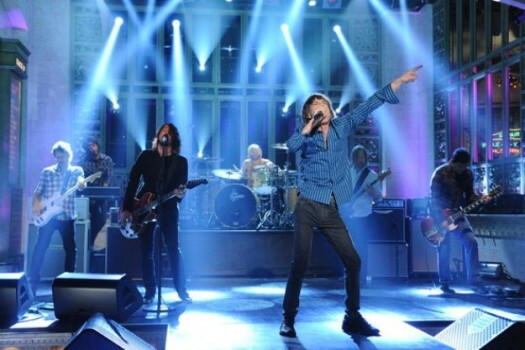 Sure, Mick Jagger’s been rockin’ hard for a long time. But at 70 years old, he’s a great example of how doing what you love keeps you young. This year, Mick became a great-grandfather, but singing lullabies doesn’t stop him from living like a rockstar! So whether you want to be an actor, a writer, a marathon runner, a lion tamer, or a chef, embracing your age is what makes you a rockstar. And, you’re never to old to be a rockstar. This entry was posted in Inspirations on June 17, 2014 by Karena. I am 72 years young. I still work full time as a floral designer but I do not a partner in my life. I have tried internet dating; even Tampa Singles. Men look only at your physical appearance and not what is inside. I have met many men that we have so much in common and would have a great relationship but I guess I do not meet their criteria for prettiness. It is very frustrating. So aging is great for some endeavors and not so great for others.